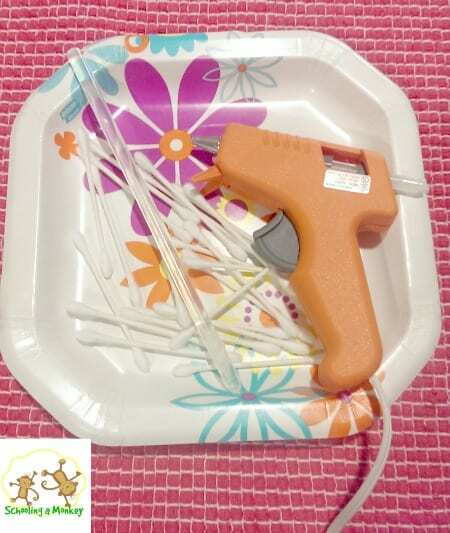 We had almost as fun with our engineering activities for kids as we did with our science experiments. 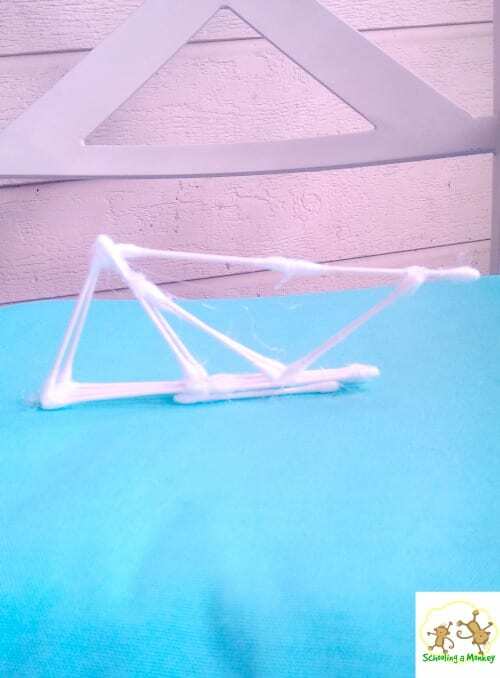 For today’s STEM activity, I challenged Monkey to create a Q-tip bridge. She came up with the design completely on her own, with fantastic results. She and I were both pleased with her efforts in this engineering activity for kids! Q-tips (use colorful ones for even more fun! Tell the children they must create a design for a 3D bridge that has to stand on its own. They can use any design they want. We used hot glue to hold our bridge together because the glue dries quickly. I didn’t give Monkey any input on this one. I simply let her come up with her own bridge design. 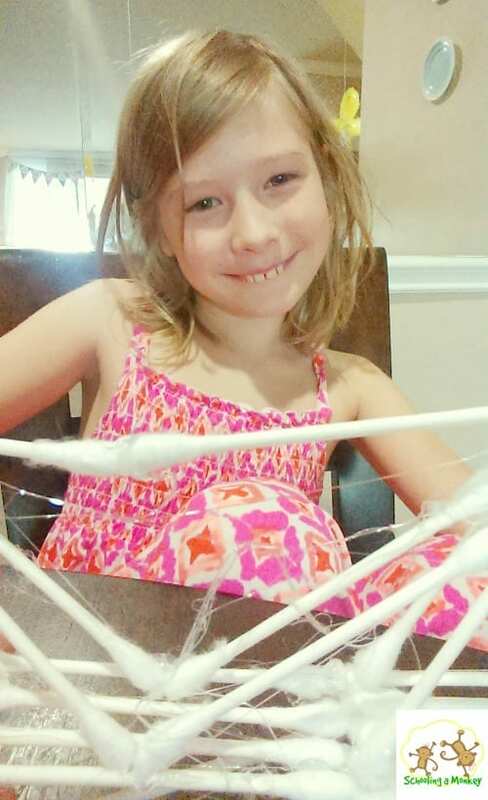 She loves suspension bridges right now (particularly the Golden Gate bridge), so I think that was the inspiration behind her design. She sat for about 20 minutes creating the bridge seen here. We found the hardest thing about creating the Q-tip bridge was that the pieces wanted to sag until the glue was completely set. After the glue hardened, the bridge was perfect, but we had to hold each joint in place for about 10-15 seconds before the glue would harden enough. This made the design process a little trickier. 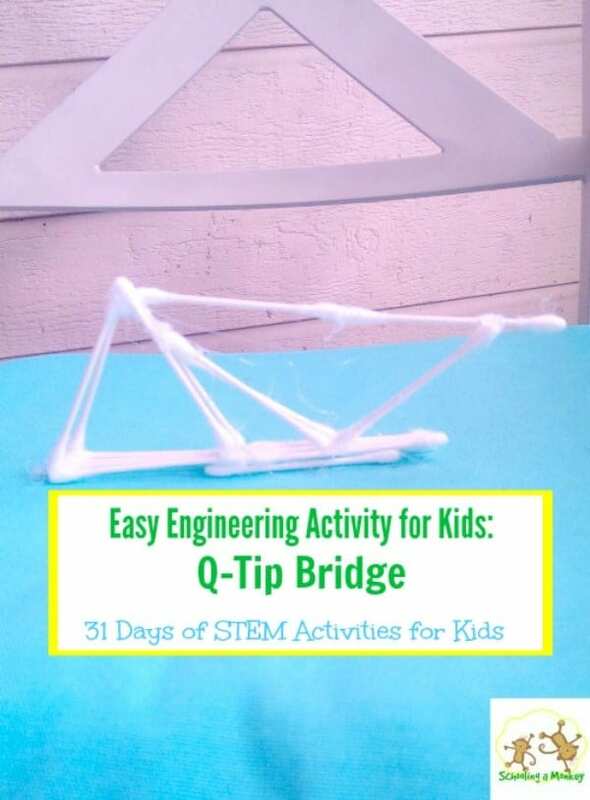 If you make a Q-tip bridge as one of your engineering activities for kids, share your design with us on the Schooling a Monkey Facebook page! 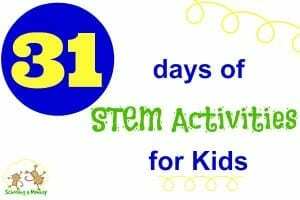 Go see the other engineering activities for kids on the 31 days of STEM activities for kids page. Find more STEM activities for kids here. If you’re looking for more homeschooling advice, check out the 31 days of homeschooling tips for moms series.